We receive a lot of questions from people looking to get into 3D printing. So, we decided to answer the top five questions we receive. 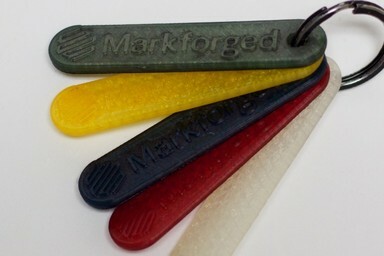 Which 3D printing materials does Markforged offer? Onyx is a thermoplastic material made of nylon mixed with chopped carbon fiber. It’s heat resistant, formulated to produce in a smooth surface finish, and is often used for tooling and fixtures. Onyx is available across all desktop and industrial printers. Markforged users can also choose from four continuous fibers to reinforce Onyx. Fiberglass is 4x stronger and 11x stiffer than ABS, and is a perfect option for those just starting out printing strong parts. It is available on Onyx Pro, Mark Two, X5, and X7 printers. HSHT fiberglass has the highest impact resistance and heat deflection temperature of our continuous fibers, and is great for applications that require high heat and impact resistance. Kevlar® is tough, lightweight, and can bend further than other fibers. 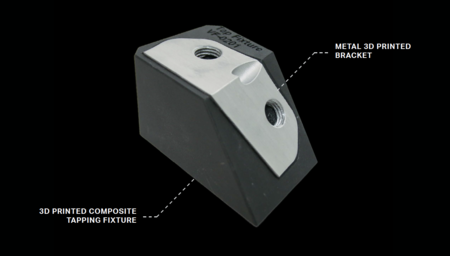 It is best used for applications such as soft jaws or end effectors. Continuous carbon fiber is the strongest of the materials, and has the highest strength-to-weight ratio. It’s strong enough to replace aluminum, but weighs less than standard aluminum. 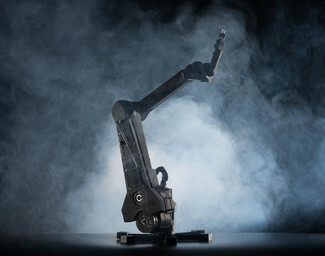 Carbon fiber is often used in robotic components, forming tools, inspection fixtures, and end use parts. HSHT fiberglass, Kevlar®, and continuous carbon fiber are only available on X7 and Mark Two printers. 17-4 PH Stainless Steel is a high-strength, high-hardness metal. It’s often used in the manufacturing and aerospace industries. ‍H13 Tool Steel is much harder than 17-4 PH Stainless Steel, and is heat treatable up to about 50 HRC. It is often used for molds and die casts, as well as forming punches and dies. What is the largest part you can 3D print? Our desktop printers (Onyx One, Onyx Pro, and Mark Two) have a build volume of 320 mm x 132 mm x 154 mm, while our industrial printers (X3, X5, and X7) have a build volume of 330 mm x 270 mm x 200 mm. 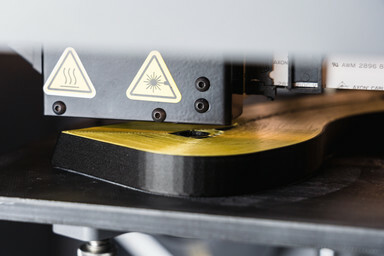 When it comes to the Metal X, users can print parts up to 250 mm x 220 mm x 200 mm (or 9.8 in x 8.6 in x 7.9 in). However, as the parts shrink during sintering, the printed part will be larger than the usable, sintered part. Your part will be automatically scaled in our software, Eiger to ensure it can fit in our sinter, which is 235 mm x 68.3 mm x 69.3 mm (or 9.25 in x 2.69 in x 2.73 in). All Markforged printers support the option to print multiple different parts on the print bed. We often see customers create much larger parts by printing several pieces and then assembling them. What 3D printing process does Markforged use? The Onyx One and X3 use FFF (Fused Filament Fabrication) technology, which is the most well-known and widespread 3D printing technology. Thermoplastic material is heated and extruded through a nozzle, then deposited on the print bed layer by layer until the model is completed. 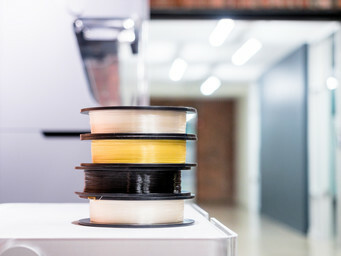 The Onyx Pro, Mark Two, X5, and X7 use CFF (Continuous Filament Fabrication) technology, where a second nozzle is used to lay continuous strands of composite fibers (such as carbon fiber) within FFF-extruded thermoplastics while printing. The continuous fibers make the printed part stronger and stiffer. 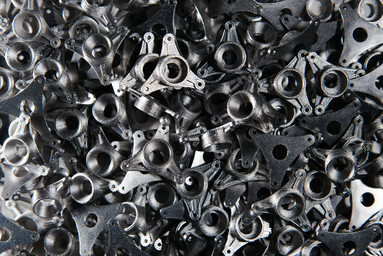 Our Metal X printers use ADAM (Atomic Diffusion Additive Manufacturing) technology, which is based on FFF technology. Metal powder is encased in a plastic binder and then deposited layer by layer by an extruder — this safe and accessible process means no hazmat suits or strict facilities requirements. The part then needs to be washed and sintered to melt away the binder and allow the metal powders to fuse. To learn about other types of printing processes, check out our Buyer’s Guide! What are some cool things to 3D print? We’ve seen everything from a 3D printed drone and 3D printed robot all the way to 3D printed fixtures and tools. Our continuous carbon fiber reinforced materials are extremely resilient and can hold up in some of the most extreme environments. 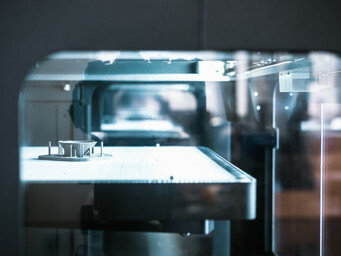 We often see manufacturers use Markforged printers to create highly customized and complex parts, including functional prototypes, 3D printed end-of-arm tooling, assembly fixtures, and end use parts. If you have a part in mind that you’d like to print, feel free to get in touch with one of our product specialists to talk about it. Can this part be 3D printed? 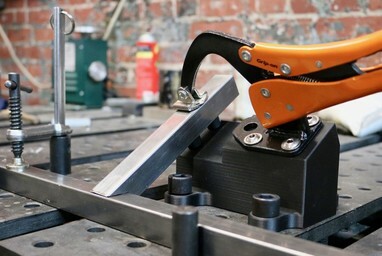 A great way to test the printability of your part is to upload it into our free software, Eiger. We’re more than happy to discuss a part you’re trying to print, and advise you on whether or not it’s feasible. 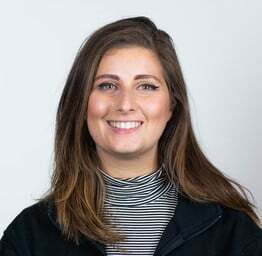 If you’re deciding whether or not a Markforged printer is the best way to go with your design, contact one of our product specialists to start a conversation. If you have any other questions, check out our Contact Us page! We’re more than happy to answer any of your questions.